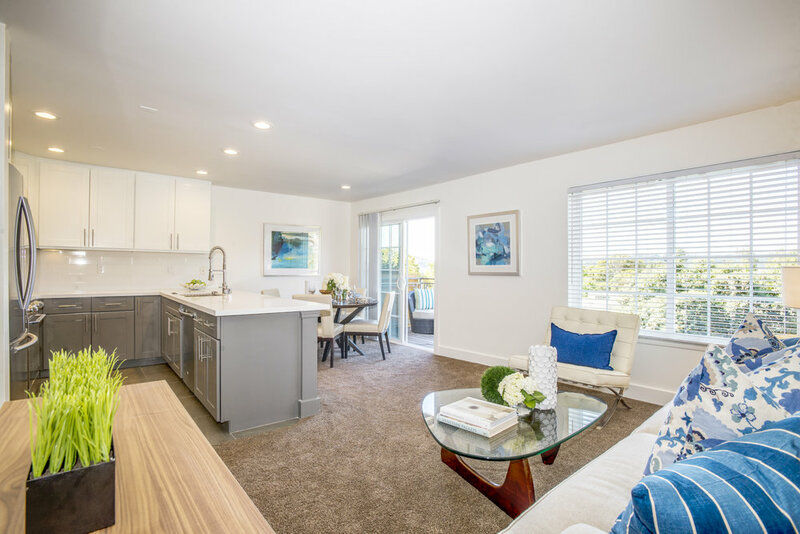 Serenity at Larkspur apartments are light and bright, modern and luxurious. Some even feature vaulted ceilings. 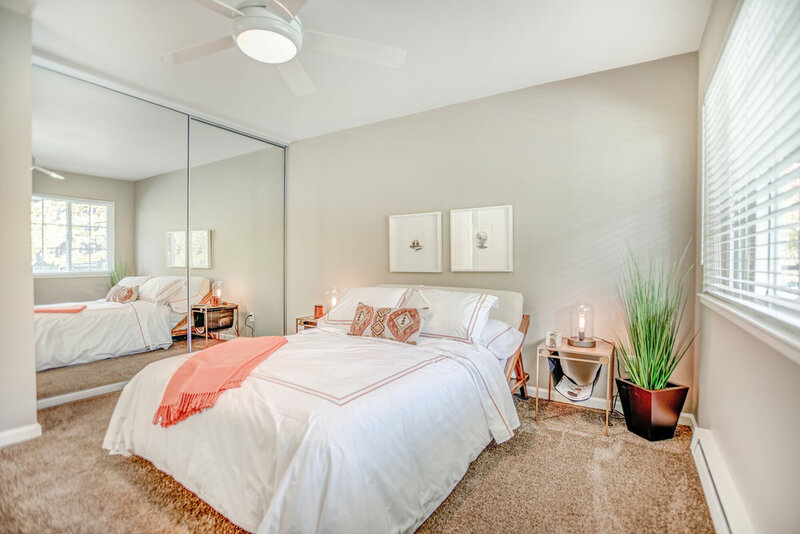 Our apartment homes come in one or two bedrooms, spread over one or two levels. 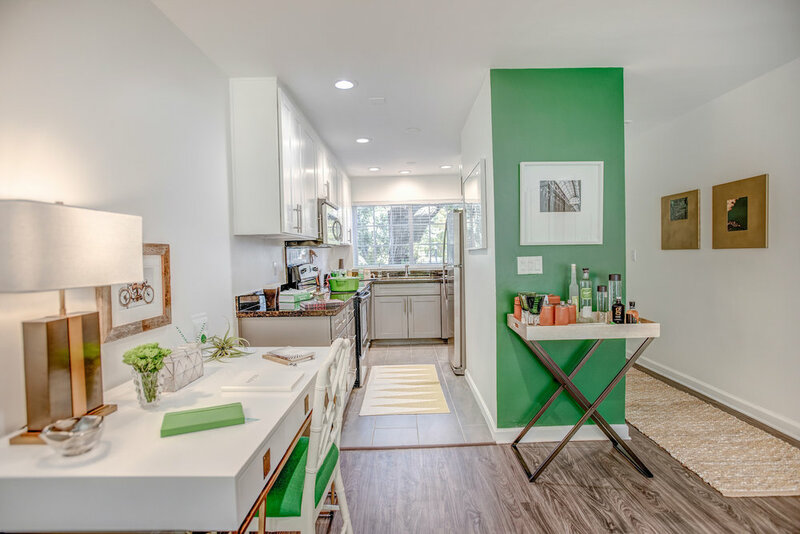 Each apartment has modern upgrades (including in-home washer and dryer), sleek design and a contemporary flow. Modern appliances in every home. Room to store all your belongings. Enjoy your personal outdoor space. 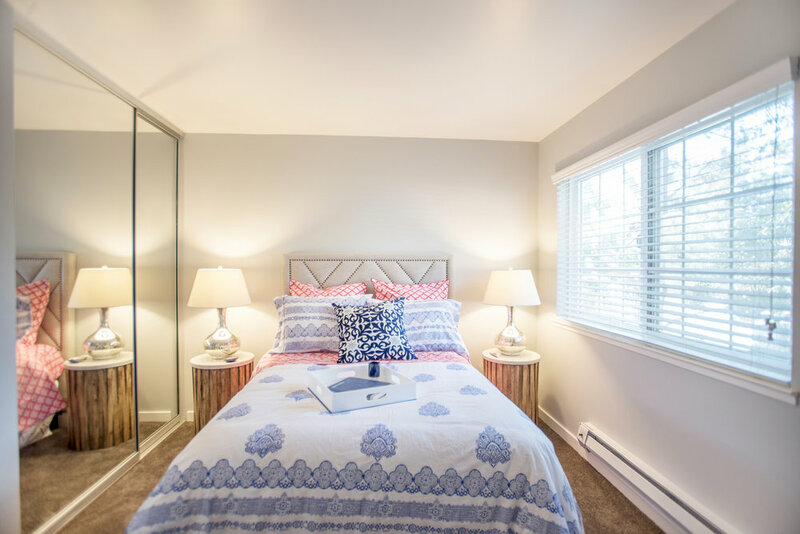 With a completely renovated apartment home, you can enjoy a wonderfully open floor plan and closet space for all of your favorite things. 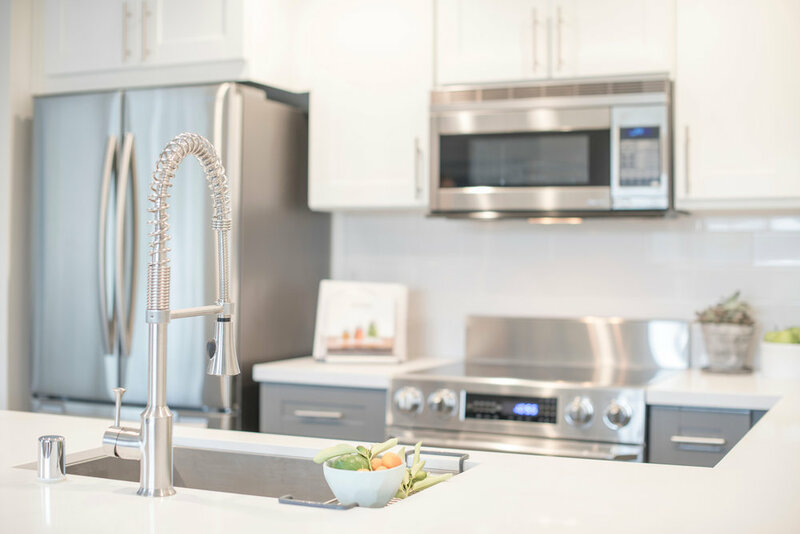 Enjoy this completely renovated apartment home with a chef’s kitchen - perfect for entertaining. This is a great space with a fantastic open kitchen and lots of space to relax and enjoy your down time. This light-filled, renovated apartment space is a great option for roommates, with two large bedrooms and two baths. This stunning, renovated townhome has soaring ceilings and beautiful windows to light up your space.